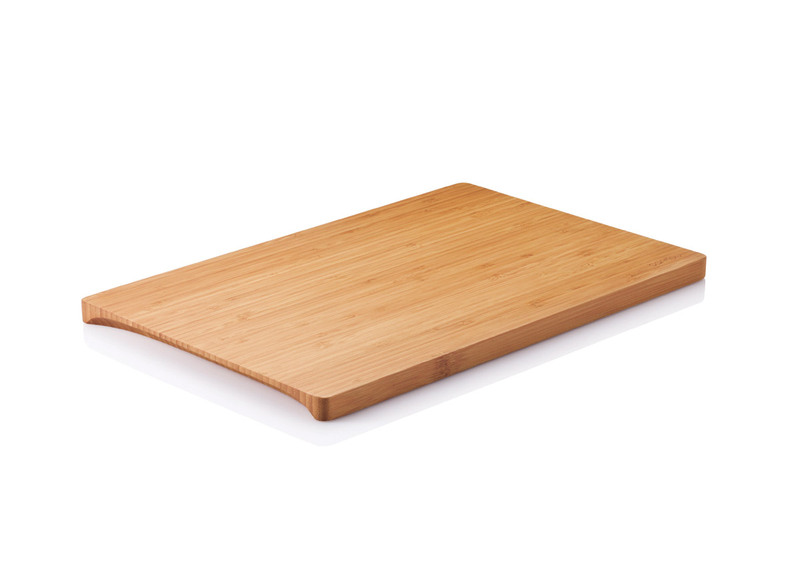 Sustainable bamboo chopping board. Dual use chopping and serving platter. This chopping board has multi uses, so you could prepare food on one side, and serve nibbles on the other. They make an attractive cheese platter, or used for serving a salad or cold meats. 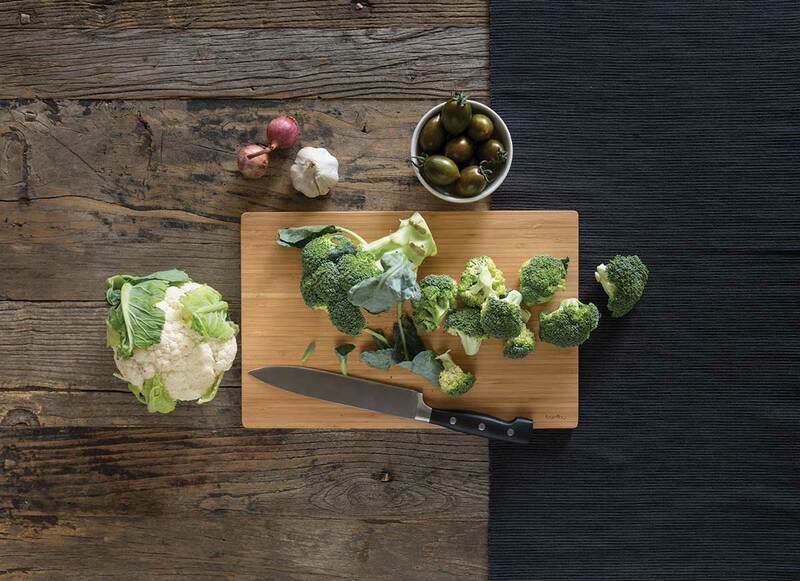 Why choose a bamboo chopping board? Bamboo is a wonderful material for food preparation, as it’s naturally sterile. Bamboo actually neutralises bacteria left on the surface after 24 hours, which is perfect when preparing food for high risk groups of people e.g. elderly, babies, convalescing, those with allergies etc. Bamboo is very sustainable – it can grow a metre a day, meaning that growers have a fast renewing source of materials. It’s so tough and durable that it’s used around the world for scaffolding, building houses and even transport.